Thank you Baz much appreciated. nice Milli and a stunning photo!! Great capture of those birds - wonderful light too and colour - fanastic! Awesome shot Milli, and love that book and the quote! Hi there Keith it is good to have you visit and I thank you sincerely for your wonderful comment. Hi Mia, it is a fabulous book and thanks for your thumbs up lol for my photo. Simply beautiful, Milli! I love that book and you did choose a very suitable quote..
oh Millie..your images are communicating so well..I hear them, I see them, I smell them. Love the fantastic photo. The quote fits very vwell. Beautiful image and perfectly chosen quote. Thanks for your appriative comment, dear! fantastic capture, Milli and the perfect quote. I loved that book when I was a teenager! that photo is one of the most beautiful I have seen!!! simply awesome. I have to say Milli that this is the best action Photo I have ever seen, and the quote is perfect for it. Bravo! Oh my! The colors in this photo are amazing! 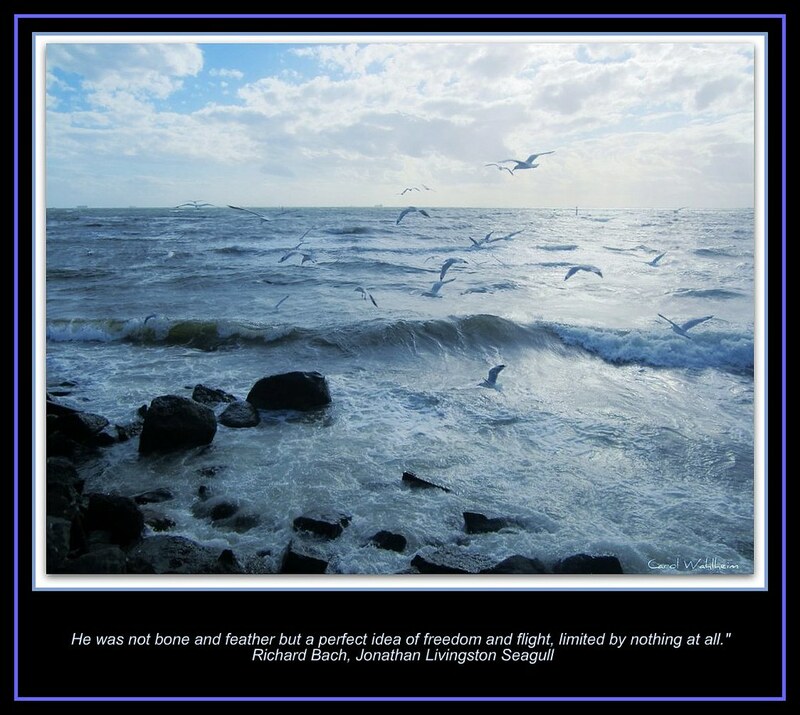 I love the birds swooping down into the sea! So beautiful! Stunning picture of true words. Oh Wow, Girl, What a lovely photo, as always and Love the Quote. You always do an amazing job~!! Lovely seascape, dear Milli! Beautiful words. I was in awe the first time.....and now again!!! Ah! I was absent those days, missed this MARVELOUS shot. The whole composition is painted with different tones of blue. I sincerely love it! you have this framed and hanging in your home?